In the beginning of August I chilled with Maria in her studio and she painted a firebug. We talked about drawing insects and that I never ever do this and I drew her a wasp. We both really liked it and at this point we had the idea to do the August of Insects. 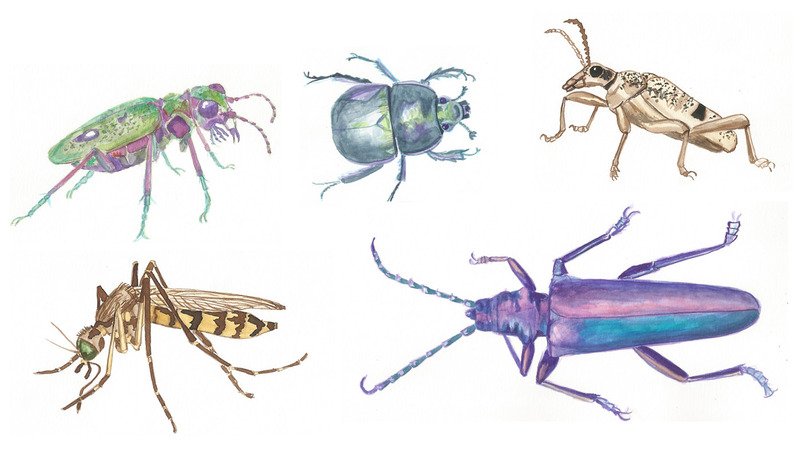 We looked up 31 insects to draw and paint them throughout august, one insect a day. We also made an Instagram challenge out of it. 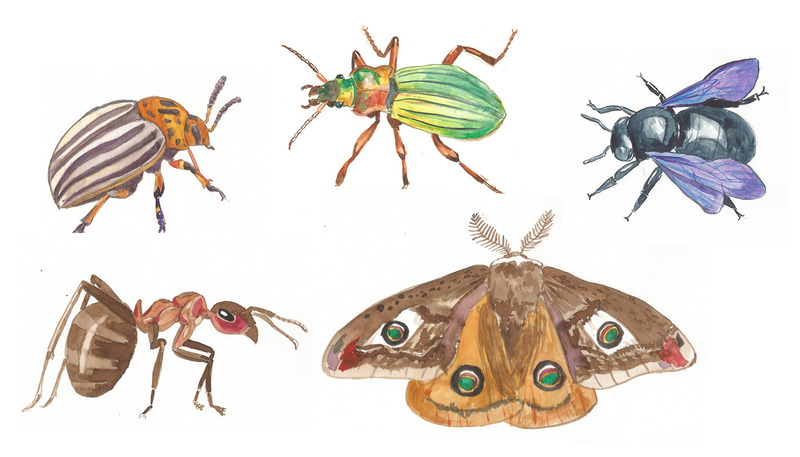 You can find the results with the hashtag #augustofinsects. It really got me back into drawing and painting and I totally left my comfort zone. I started new projects afterwards and fell back in love with painting on paper. Sometimes all you have to do is challenge yourself and leave your comfort zone. Dankeschön! Ich mag auch den grün-lilanen am Liebsten :) Hihi, den Kalender behalte ich im Hinterkopf! Die Vielfalt und Schönheit der Insekten, die wunderbaren Farben und winzigen Details kann man auf den Bildern so schön erkennen. Leider habe ich keinen Favoriten. Ich finde jedes Insekt auf seine einzigartige Weise ganz Besonders!